REGISTER EARLY TO ATTEND AND SAVE! IBcon's education program will feature domain experts from around the globe presenting case studies and speaking on the topics of building automation systems and controls, building system integration and the implications for organizational alignment, skills development and change management necessary to facilitate the intelligent integration of key business processes into the high performance building ecosystem. Realcomm | IBcon is pleased to offer attendees an opportunity to participate in back-of-house tours of several innovative buildings in Nashville. These tours will be held Tuesday, June 11. More information coming soon. Kick-off this year�s conference than by attending our pre-conference events on Wednesday, June 12. These comprehensive programs are designed based on the attendees' role within the commercial,corporate, government and institutional real estate industry. Maximize the value of these sessions by bringing your team � IT, FM, PM, Energy, Sustainability, Operations and Finance � there�s something for everyone in your organization! Dust off your cowboy boots and saddle up for a captivating evening of great food, drinks and Nashville music. The Welcome Reception is a great opportunity to mingle with your peers and make new friends. Hosted in the iconic Schermerhorn Symphony Center, we invite you to join us in celebrating the Realcomm/IBcon community Nashville style. Join us at Conference LIVE as we announce the winners of the 2019 Digie Awards. These prestigious awards honor those companies, real estate projects, technologies and people who have gone above and beyond to positively impact our industry through the use of technology, automation and innovation. Directly following the Digie Awards Presentation is a welcome reception with hors d'oeuvres and cocktails at the Exhibit Floor. Meet and mingle with new colleagues and catch up with old friends! This event is open to all attendees. This year's theme, REcalibrate | Using Innovation to Turn Challenges into Opportunities, focuses on how everyone in an organization needs to fully understand how this next chapter of the digital revolution will affect their role as well as the organization as a whole. It is time to REcalibrate, identify the challenges, embrace innovative ideas and discover new opportunities in the way we design, build, lease, operate, transact and use Commercial and Corporate Real Estate. More details coming soon! There are numerous opinions on the definition of a smart, connected, energy-efficient, digitally engaging, intelligent building. There are some common categories in which most people group smart building attributes: energy/sustainability, operational efficiency, space utilization, occupant experience, and wellness. Due to traditional organizational structures, these five components are often dealt with separately. A comprehensive smart building strategy must be wide and deep and take into consideration all five groups at the same time, as well as roll-up into a comprehensive portfolio view. This session will bring together those organizations who have spent years developing their smart building strategies, sharing their challenges and successes. 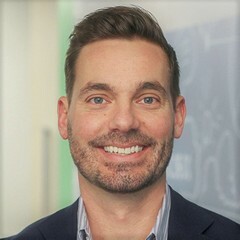 Lachlan MacQuarrie oversees the service side of Oxford�s operations platform across 5 asset classes in Canada including Smart & Connected, and Cyber Security. He has more than 20 years of experience in the real estate industry, primarily in Asset / Operations Mgmt, Development and Investments. 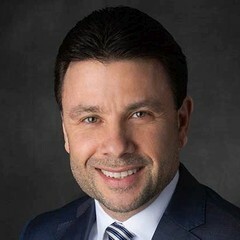 As the Director of IoT, HQ for Real Estate and Facilities at Oracle, Francisco Ruiz is responsible for partnering with global teams to help design, secure and guide the implementation of enterprise IoT Energy Solutions. 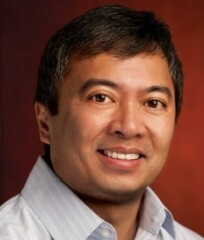 Prior to Oracle, he consulted various Real Estate teams utilizing IoT for continuous improvement and sustainable business operations including Adobe, GSA, eBay, PayPal and NASA. He is active on various industry boards and organizations which supports his continuous pursuit of the most energy efficient and sustainable technologies. Developing a smart building or campus for a single tenant is quite different than working in a multi-tenant environment. Historically, the landlord had responsibility for the common areas and their responsibility stopped at the tenant�s front door. As buildings have become more technologically complex the lines have begun to blur. Data sharing, building network accessibility, wireless infrastructure, access control strategies and integration of different occupant experience applications are just some of the instances where technology is forcing a rethink of the relationship between tenant and landlord. Thought leaders from both sides of the table will lead this discussion on their changing roles and responsibilities. Robert Entin is currently EVP and CIO for Vornado Realty Trust, one of the nation's largest real estate investment trusts. 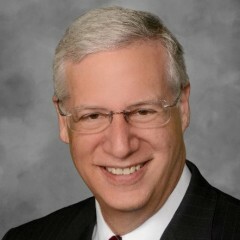 Mr. Entin had founded Integrated Business Systems, Inc. in 1979 combining technical engineering expertise with accounting and property management experience to provide turnkey technology solutions for the real estate industry. He currently serves as an Adjunct Professor at Columbia University where he teaches a master�s course in IT & The Real Estate Enterprise. 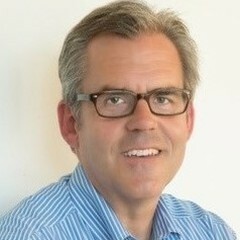 Jim Whalen serves as SVP and CIO responsible for the direction and implementation of technology and applications at Boston Properties, a fully integrated real estate investment trust and one of the largest owners and developers of Class-A office properties in the United States. 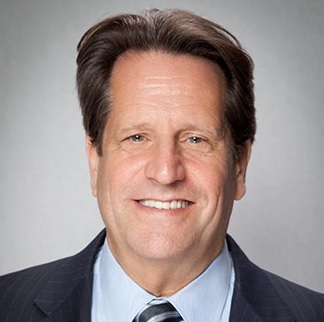 Over a 27-year IT career, Jim has supported real estate operations ranging from residential, construction, public housing, commercial office and retail. Smart building technologies have been available to building owners and managers for over a decade. In that time, we have seen innovative showcase projects demonstrate the powerful benefits of advanced automation and control, connectivity, and analytics. However, most buildings have still not adopted a smart building approach that leads to improved safety, productivity and space utilization. This spring, Navigant Research partnered with Intelligent Buildings, Anixter and UL to launch the inaugural �State of the Smart Buildings Market� study. Leaders across the real estate market were interviewed; the study fielded an extensive survey of decision-makers across North America. Join this instructive session to hear the research highlights and key insights impacting building readiness and the near-term outlook for smart commercial spaces. 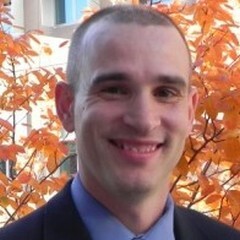 Casey Talon is a principal research analyst with Navigant Research, contributing to the Building Innovations program. With a background in economics, environmental science, and policy, she has deep experience as an analyst and consultant in the building technology sector. 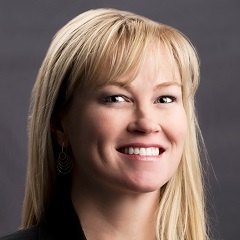 Prior to joining Navigant, Casey worked with both public and private sector clients as an analyst and consultant focused on energy efficiency, building technologies, sustainability and climate change. Andrew Jimenez has over 25 years experience in the fields of telecommunications testing and product certification. 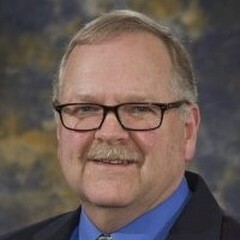 Currently, his primary responsibilities include the management of the day-to-day operations of Anixter's Infrastructure Solutions Lab and Solutions Briefing Centers, standards development, and product research. If an organization is serious about developing or retrofitting a building to exemplify next generation thinking, it truly needs to be a group effort. If every aspect of the building is going to be rethought as it relates to new and emerging technologies, a variety of intellectual capabilities will be required. Once leadership, vision and budgets are established, the work of building a team begins. Internal personnel as well as a multitude of external resources must be assembled to effectively deliver the next generation building. To add to the complexity, this must be done in an environment where technology is changing daily and the required skills are in short supply and high demand. Those with real-world experience in this process will share their perspective and insights. Leroy Walden has worked in various leadership positions in the Building Controls and Automation industry for forty years. He is passionate in the pursuit of the growing uses of technology in sustainable building operations. Leroy bring specific insights to smart devices and equipment and how open source integration platforms will transform building maintenance in the coming decades. The process of developing buildings has been constantly redefined over the last 50-75 years. Each new project brings new opportunity to rethink the many components that make up a building. However, the level of innovation actually accomplished with each iteration is up for debate. One of the key components is the RFP Process. It is here that ideas are defined and various providers have the opportunity to respond with their capabilities. In many cases, due to time constraints and the fact that building technologies historically did not change fast, many continue to use outdated techniques. This session will focus on historical methodologies in the RFP process compared to new, more digital and innovative approaches. 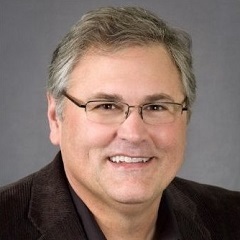 Tom Shircliff is a co-founder and principal of Intelligent Buildings, a nationally recognized smart real estate professional services company that was started in 2004. Intelligent Buildings provides planning and implementation of next generation strategy for new buildings, existing portfolios and urban communities. 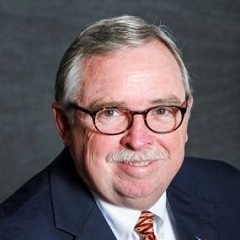 Tom is a speaker and collaborator with numerous universities and national laboratories, a gubernatorial appointee for energy strategy and policy and founding Chairman of Envision Charlotte, a Clinton Global Initiative. Phil Klokis is currently the CIO for the Public Buildings Service (PBS) of the General Services Administration. He is responsible for delivering Information Technology (IT) solutions and services supporting PBS' diverse real estate operations and portfolio management consisting of 1,500 owned assets, 9,000 active leased assets and nearly 350 million square feet of office space. In addition to the Base Building Network, which serves as the fundamental communications highway for a smart building, there are a number of additional systems to evaluate when developing a smart building infrastructure strategy. Multiple generations of technologies such as server, controller, edge and cloud options, offered by a variety of different solution providers makes the game of piecing together a strategy a challenge. Each has its own hardware, software and data approach which must be brought together to create a unified system. While the perfect solution may not yet be available, there are current best practices. For those responsible for developing a smart building strategy, this is a must attend session. 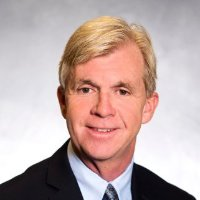 Clayton Broemsen is VP of IT Infrastructure for Cousins Properties, a REIT based in Atlanta, GA. He is responsible for all aspects of Cousins� IT Infrastructure as it applies to the Corporate Office and Property Infrastructure including Networks, End User Devices, Security, Data Centers and Disaster Recovery. 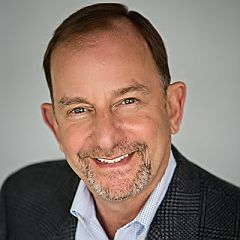 Gordon Echlin is Vice President Marketing and Business Development for Triacta Power Solutions LP, where he has been a management team member since 2009. 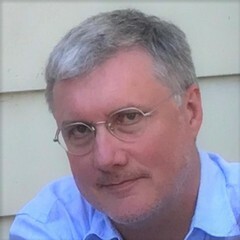 Prior to Triacta, Gordon was a partner for a boutique venture capital firm, Venture Coaches from 2006 to 2009, and started a telematics company, Netistix Technologies, in 2002. 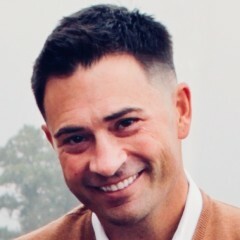 Trent Tursi is a highly accomplished Fortune 500 Executive Leader with exceptional vision, strategy and sales acumen complemented by proven results in business transformation models. 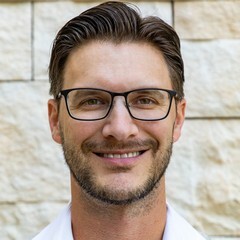 Having previously worked for Johnson Controls, Trent currently is in charge of the digital building / digital workplace segment for CompuCom, a wholly owned subsidiary of Office Depot, where he leads pursuit across Building Owners and IT executives sharing the �new way� to deliver functionality across IT systems. We�re continually connecting more devices in buildings for the purpose of data collection and control. As the complexity of smart buildings increases, so does the need to have an organized, comprehensive, standardized way of managing all these different systems. Over time, the debate has even questioned the need for a Building Operating System. While there are data integration platforms, dashboards, analytics programs and other applications associated with smart buildings, the question remains: �What are the best options when it comes to meeting the requirements of what one would consider a holistic building operating system?� In Part One of this session, industry thought leaders will share their insights on the topic and in Part Two, we�ll follow with a product showcase of the leading solutions. 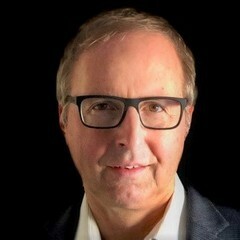 Marc is a pioneer in leading the Intelligent/Smart Buildings and M2M movements pushing the industry forward and has contributed to transforming and changing the Intelligent Buildings and M2M (now IoT) industries. 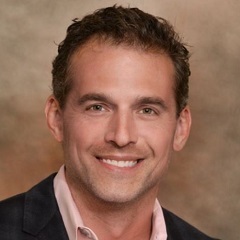 As Chief Marketing and Communications Officer for Lynxspring Marc leads corporate and product marketing, strategy, brand management, public relations and communications that support the company�s strategic and growth initiatives. Charles Whiteley is a relative newcomer to the CRE space but brings an external perspective and focus on technology and innovation garnered through 10+ years as a management consultant for Big 4 firms. 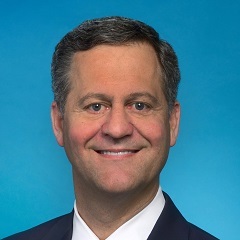 At ExxonMobil, he is focused on smart building global strategy, digitally connected workers, immersive digital resident experience and maximizing the value that CRE generates for the firm�s business lines globally. 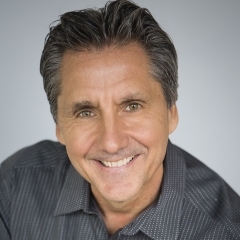 Franco Castaldini is a veteran marketing, business development and product strategy executive who has led high-growth go-to-market strategies for innovative startups and large global enterprises. 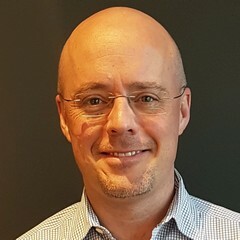 He joins ThoughtWire as its Chief Commercial Officer from GE Digital where he led the commercial strategy for a high-productivity application development platform. Franco joined GE Digital with the acquisition of Bit Stew Systems, where he helped to position the company for rapid growth and their successful exit in late 2016 for $208 million. The idea of a base building network to provide digital amenities to tenants and visitors, as well as a connection point for a multitude of disparate building systems has come of age. For the most progressive owners and operators, a building network is no longer a luxury, but a necessity. Defining the building network architecture is one of the most important decisions to be made. Fiber, copper, wireless, switches, routers, controllers, firewalls and device connectivity are just some of the technical issues which must be considered. The decisions get more complex as you add more buildings to the WAN and begin to design a connected portfolio or campus. The industries� most experienced professionals will share their perspective on this important topic. Founder of Realcomm Conference Group, an education organization that produces Realcomm, IBcon and CoRE Tech, the world's leading conferences on technology, automated business solutions, intelligent buildings and energy efficiency for the commercial and corporate real estate industry. As CEO, Jim interacts with some of the largest companies globally pertaining to some of the most advanced and progressive next generation real estate projects under development. Zorba Manolopoulos is the Global Program Manager over Smart Campuses at Facebook. His group is responsible for developing and executing the Smart Building/Campus strategy. They are charged with incubating ideas and leading development of solutions for Facebook�s world-wide portfolio and pushing forward the Smart Campus vision to bridge the gap of current product offerings. Their goal is to deliver comprehensive Real Estate solutions supporting the Occupant Experience while benefiting teams in Facility Management, Workplace Design, and Construction. 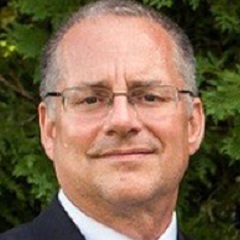 Paul Maximuk is Energy Manager for Ford Land Energy where he is currently is providing project and program technical guidance to implement global metering of electric, natural gas, steam, water and compressed air systems. He is an Energy Engineer with over 30 years of experience in the HVAC/BMS field. He is an SME specializing in building management and energy reduction. Paul has focused his efforts in large industrial facilities but also has equal expertise in Class A buildings. Additionally he is a problem solver finding the root cause of why mechanical systems do not operate at their peak efficiency. One of the biggest paradigm changes today in smart buildings is the convergence of Information Technology (IT) and Operational Technology (OT). Historically, they�ve been two distinctly different worlds and those responsible for building systems have (at best) not had much reason to work with IT, and (at worst) looked at IT as a necessary evil. With the rise of IoT devices in buildings and the evolution of building management systems, IT and OT face the challenge of having to be increasingly technically integrated, which often raises concerns when it comes to skill sets and organizational structure. Organizations who have successfully integrated these two groups will offer their insights to the audience. 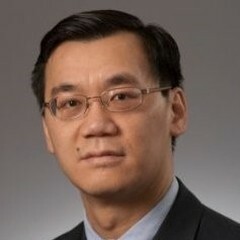 Park Wong is VP, IT of Oxford Properties. 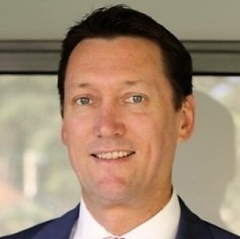 He is responsible for providing IT vision, strategy and leadership while partnering with the business leaders in leading and driving both traditional IT services as well as proactively proposing innovative solutions to solve increasingly scalable business needs. Finally a Metric � How Intelligent is Your INTELLIGENT BUILDING? While intelligent building and smart city performance measures have emerged in recent years, only limited objective assessment methods and through-life measurement frameworks have been developed so far, and a suitable or broadly applicable classification system has yet to emerge. Despite this, claims about building intelligence and technological capabilities are commonly heard. But without qualitative and quantitative indicators, these claims are opaque at best and misleading at worst. As such the need for a universal Intelligent Building (IB) rating system is receiving increasing interest among building developers, building managers and policy makers. This talk presents the formation of the International Intelligent Buildings Organization, whose charter is to create a holistic International IB Index based on a framework of indicators and impact categories that can be used to describe and assess smart and intelligent buildings. As more systems found in buildings become smart, they produce prodigious amounts of data. Building devices such as HVAC, lighting, access, surveillance, parking, and other non-traditional BAS systems now come with more local intelligence capable of capturing and performing local data operations �at the edge�. The enormity of the data captured and recorded requires serious consideration and planning for data modeling and architecture so it can be successfully operationalized. How this data is collected, transported, normalized, integrated, secured and operationalized is critical to the success of a smart building. Given the evolving complexity of the captured data sets, developing a comprehensive data architecture strategy is one of the most important foundational steps in a smart building plan. 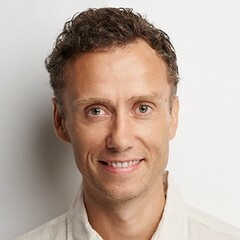 Leon Wurfel is the CEO of BUENO. Leon founded BUENO in partnership with Airmaster Australia with the aim of utilising current and emerging technologies to drive innovative sustainability and operations solutions. 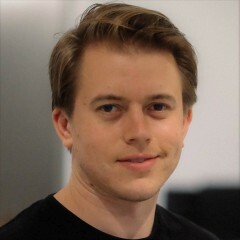 John Petze is a partner and co-founder at SkyFoundry, the developers of SkySpark�, an analytics platform for building, energy and equipment data. 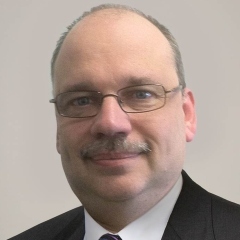 John has over 35 years of experience in building automation, energy management and M2M, having served in senior level positions for manufacturers of hardware and software products. At SkyFoundry he helps owners take advantage of advanced operational analytics to create truly intelligent and efficient buildings. Those involved in the development of smart, connected buildings are at various stages of the maturity curve. Some are just moving off the starting line, while others are well into the race and are managing highly technical and complex data, application and sequence integrations. While these integrations are challenging on their own, a new layer of complications has been added with the advent of occupant experience applications vying to offer control of the building from tenant/employee/visitor mobile phones. This session will gather various stakeholders in the smart building ecosystem. Attendees will hear from Real Estate owners and operators, integrators and manufacturers who will share case studies on the most sophisticated smart building data integrations. Jason Houck has over fourteen years of experience implementing and servicing Building Automation and Security Systems. His responsibilities include project management, programming, network design, and verification of building systems for both retrofit and new construction projects. This includes system design, operating improvements, and system integration by utilizing application specific technology. His system experience combined and building knowledge is a championship combination in today's smart building industry. Jason also has an extensive IT background which allows him to fully appreciate the importance of a properly designed network. 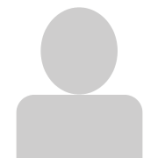 He has the unique ability to take all of his system, building and IT knowledge and effectively communicate any potential issues, favorable solutions, or operating recommendations to any member of the task regardless of their industry background. This effective communication allows him to bridge the communication gap between members within IT, Project Management, Financial, Maintenance and Service. While there are many different aspects of an intelligent building, one of the typical objectives is the incorporation of fault detection and diagnostics (FDD). Being able to clearly and quickly identify which systems are failing or underperforming can save a building operator a significant amount of time and money. Over the years, there have been many different approaches to FDD implementations, yielding varying degrees of success. From selecting a system to the development of a plan that can react to the multitude of identified problems, FDD brings with it a unique set of complexities. This valuable session will allow attendees to explore fault detection and analytics options with the industry�s most experienced professionals. With 25+ years of property management experience, David Giddings currently directs Oxford Properties' National Operating & Technical services initiatives aimed at enhancing site delivery of service excellence and best operating practices enhancing returns for its stakeholders. He leads the team of individuals that deliver programs leveraging Oxfords scale to address efficiency, expertise and governance. 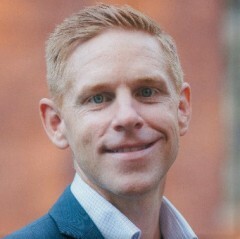 David's current focus is largely on Oxford�s Smart Building�s initiative ensuring the assets are future proofed to address occupants, visitors and shoppers demands for a connected experience. With the high volume of data being generated by building automation systems, it has become apparent that new tools are needed to manage this deluge of information. The introduction of more IoT devices in buildings adds an even more granular degree of smart building information, making the task of managing data volume and finding real insight more challenging. Many have begun to discuss applying Machine Learning to these operational data sets, hoping that AI will allow them to build on the insights they gain. This exciting session will bring together the early adopters dealing with smart building data and AI/Machine Learning who will discuss the possibilities, as well as challenges. 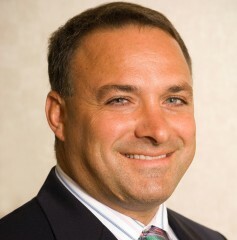 Ted Maulucci is the President of SmartONE Solutions, a company committed to advancing the digital living experience in communities. 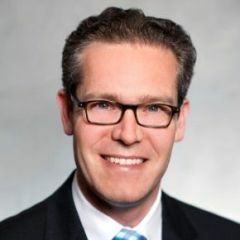 He assumed the role of President at SmartONE after a 26 year career as the Chief Information Officer of a leading Toronto based multi-family real estate developer. 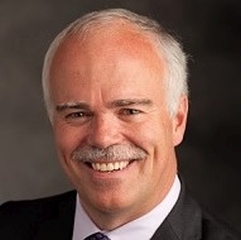 He was recognized as the Private Sector Canadian CIO of the Year in 2016 for his achievements in connected buildings. 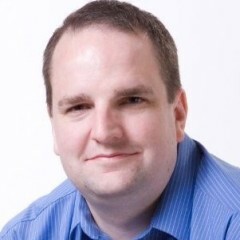 Brad Klenz is Principal IoT Analytics Architect at SAS. His responsibilities include the design and integration of analytics required by SAS� IoT solutions. His recent projects include the use of machine learning for energy and operational efficiency in smart building environments, and real-time streaming analytics for event identification on the power grid. The idea of visualizing data related to a building is not a new topic. Building Information Modeling (BIM) has been an active discussion for decades, with few organizations taking this concept from the design phase all the way through to operations and maintenance. In the last 24 months, the phrase �Digital Twin� has emerged, advocating for some of the same benefits of BIM. This instructive session will define the differences or similarities between the two, talk about the various uses throughout the entire lifecycle of the property, discuss the realities of integrating visualization engines with various data sets, and bring to light the most relevant, practical and successful case studies surrounding building data visualization. A �Digital Twin� is the digital replica of the physical structure. At every stage of a building�s lifecycle, digital information is generated. Massive amounts of information from BIM Models, Asset Registers, Commissioning Processes, IoT devices, alongside facility maintenance & work order data is siloed and orphaned. A Digital Twin unifies these data sources to create first-of-their-kind insights, use cases, scenario planning and simulations�accomplished in a digital environment. Further, AI and machine learning have data lakes with a depth and clarity never seen before. They uncover operation optimization opportunities within the virtual environment that can then be applied back to the physical space. In this exciting session, we�ll hear from building owners as well as supply chain stakeholders who will discuss how they�ve incorporated the Digital Twin concept into design, construction and ongoing O&M. Real Estate OWNERS and OPERATORS Speak Out � What Are the 'Experiences' That Tenants and Guests Really Want? Experience, Experience, Experience�everyone in the Real Estate industry is talking about it. It seems that a desk, a cube or even a corner office for that matter is just not enough anymore. Now parking, building access, elevators, meeting rooms, lighting, food choices, community events and even gym equipment can be accessible by an occupant�s mobile phone. Creating a true 21st century experience includes intelligent design, technology convergence and well thought out amenities accessible via a digital platform. This conversation will take a holistic view of what this experience phenomenon is all about. Thought leaders who have been out in front of this trend will speak candidly about successes, failures, financial considerations and more. 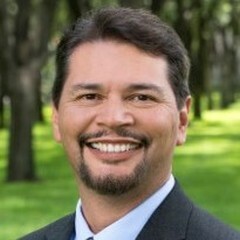 Jesse Carrillo is SVP and CIO for Hines. 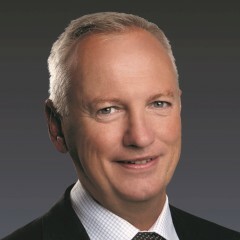 He is responsible for directing all corporate technology, strategy and standards for Hines worldwide. 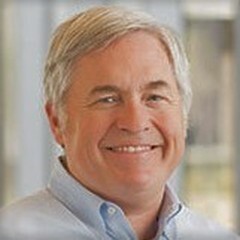 At Hines since 1994, he previously assisted in the implementation of the firm's accounting and property management software, held the lead IT role in the Enterprise Resource Planning implementation, and led the application development team until taking over as the head of Information Technology in 2007. Delivering a digitally assisted experience in a corporate occupier environment requires a different strategy than that of a landlord providing a tenant engagement app for a building. Providing a unified employee experience across a company�s owned and leased space; identifying useful app functions that can be adjusted for different portfolio sites; as well as integration into a landlord�s building systems in a leased space setting are just some of the challenges corporates face. Over the last 12-18 months, companies have been wrestling with multiple issues including the questions around functionality and whether to buy vs. build. This timely and important topic will be analyzed by some of the industry�s most forward-thinking companies. 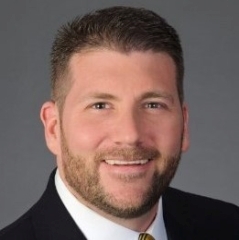 Ryan Anderson serves as Director of Commercialization and Business Development for Herman Miller�s IoT solutions. His work focuses on applying emerging technologies to enhance the value and performance of Herman Miller�s existing and future product portfolio. 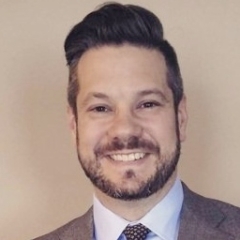 This is Ryan�s twenty-third year in the office furniture industry where his career has focused on helping organizations to evolve their work environments to adapt to changes in technology and work. Brennan McReynolds is passionate about how technology can enhance and inform workplace experience. He is the Global Product & Technology lead for Host, a proprietary service offering for corporate occupiers and institutional property investors designed to meet the rapidly growing demand for enhanced employee experience in the workplace. Led by people and enabled by technology, Host allows both occupiers and investors to manage workplace needs through intelligent, Artificial Intelligence (AI)-driven experiences. 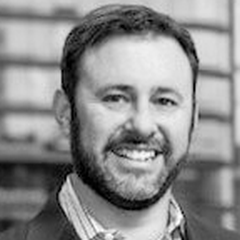 Jared Summers is a motivated execution-oriented high performance individual who has extensive experience managing large-scale global programs. He brings a unique ability to understand and articulate complex technologies in a relatable way while rapidly fielding innovative capabilities. 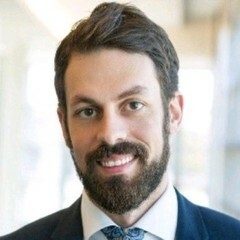 Currently Jared is the Data, Analytics & Technology Manager at ExxonMobil, delivering on the promise of transformational change enabled by digital technologies across the entire global real estate portfolio. Few in the Commercial and Corporate Real Estate industry have more experience than the Service Providers. Those who offer property and facility services as a business do it for a large number of companies and at a grand scale, and with all this activity comes a great deal of insight and perspective. Service Providers have been advising on the topic of Occupant Experience for a number of years. Recently, some of the global giants have taken the next step and have begun to provide Space-as-a-Service, flex pace, and coworking, competing with industry newcomers such as WeWork, Convene and others. Given their long history in our industry, their insight on this topic should prove invaluable. It started five to seven years ago with applications to micro-control HVAC. Then came suggestions for lighting and access control. Add on conference room scheduling, event reservations, food and beverage orders and the idea of personally interfacing with your building from a mobile device began to swell. Just like Uber changed the local transportation industry forever, building occupant experience applications are poised to raise the bar for comfort and conveniences inside a building. Recently, there has been an extraordinary influx of over 30 new companies in this space. Keeping track of and understanding these solutions can be a daunting task. This showcase will bring the best to the stage and allow attendees to get a good understanding of the landscape. Kent helps guide the strategic oversight of Brookfield�s office portfolio in New York, Washington, D.C., and Boston, focusing on redevelopment projects and complex lease transactions. He manages relationships with Joint Venture Partners and is responsible for implementing innovative technologies to enhance customer experience and improve operations. 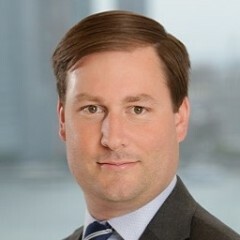 He is also part of Brookfield�s Global Corporate Development Group, which is responsible for strengthening relationships with the Company�s customers and cultivating partnerships which are complementary to Brookfield�s businesses. Over the last 50 years we have progressed from building automation to connected buildings, and now we are familiar with the Building Internet of Things. Each new generation of building technologies brings a greater degree of connectivity. With every electro-mechanical device found in a building now connected to the network, the potential for cybersecurity breaches grows exponentially. For those new to the journey, creating a thoughtful, comprehensive cybersecurity strategy can be overwhelming. Inventorying systems, cyber assessment, pen testing, training, hardware and software strategies, selecting external resources, budget considerations and identifying best practices are just some of the topics to be discussed. 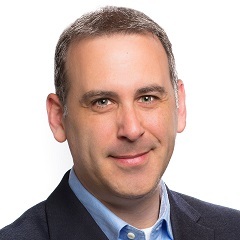 Don Goldstein is the CEO at 5Q Cyber, where he helps companies become more secure by providing the full spectrum of managed cyber security services. His past roles in the real estate industry have included Chief Information Officer and most recently, Chief Information Security Officer. 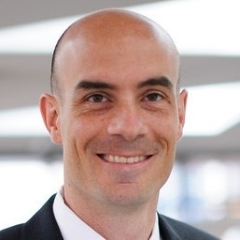 He has twenty years� experience in advising the CRE industry in technology and security strategy. 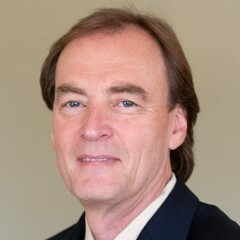 Carl Brady is Stream Realty Partners' Chief Technology Officer, specializing in the company's computer network infrastructure planning, implementation and management. Carl joined Stream Realty in 1999 with 16 years experience in commercial property management and information technology. Since then, and also while serving as a Senior Property Manager, he has called upon his experience to implement numerous advances in technology for the firm during its growth. 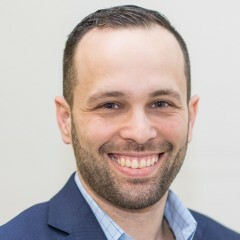 His unique experience in technology, property management and other aspects of the real estate industry, coupled with his education, enable him to provide an exceptional level of insight and vision toward Stream's technology needs for today and the future. 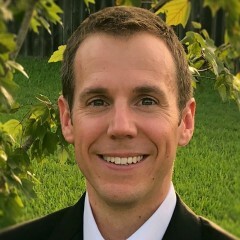 Clint Osteen is Sr. Director of IT and is responsible for directing Granite�s information services and telecommunications across the portfolio. Prior to joining Granite, Clint spent 10 years in consulting, providing commercial real estate companies technology and business improvement services. Connected lights, cameras, voice assistants, sensors, HVAC, elevators, meters, locks, desks, chairs, drinking fountains, fire extinguishers, parking gates, mobile phones, watches (and more) create a very technically integrated environment. This connectivity enables resource conservation, operational efficiency, enhanced experiences and financial optimization. Hyper-connectivity also enables the potential for draconian surveillance. With every square inch of a building collecting, storing and analyzing data, the concept of privacy is greatly challenged; long gone are the personal conversations and private meetings. Industry leaders will come together to examine this important and timely topic. Commercial and Corporate Real Estate professionals have growing concerns regarding cybersecurity for the built environment. This forward-thinking group of industry professionals have been identifying issues and putting strategies in place to help set a foundation for cybersecurity in our industry. Developing comprehensive cybersecurity strategies, identifying best practices, creating benchmarks for suppliers and monitoring cyber activity are just some of the topics this group has focused on. Hearing from those who have been on their journey for many years is a great opportunity to fast-track a cybersecurity plan. Members of the Real Estate Cyber Consortium (RECC) will be facilitating this session. If there is any one organization that has been at the forefront of higher energy efficiency in buildings, it is The Department of Energy (DOE). DOE has been engaged in various groundbreaking research projects focused on smart building technologies; aggregating metrics on various energy analytics programs, as well as deep dives into Zero Net Energy and Smart Meter projects. 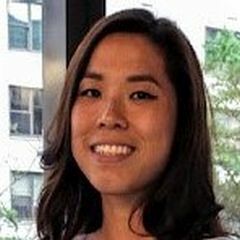 In this extensive session, DOE representatives will provide a summary of the various smart building programs that the private sector can take advantage of. 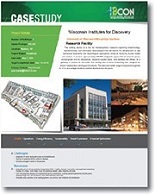 Additionally, they will present their most recent group of best practice case studies of next generation, highly efficient, innovative smart buildings. 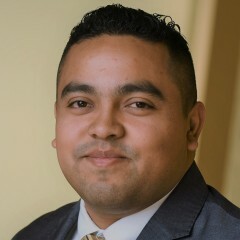 Shanti Pless is a Senior Energy Efficiency Researcher in the Commercial Buildings Research Group at DOE�s National Renewable Energy Laboratory. He current research focus includes zero energy district planning and high performance demonstration projects. 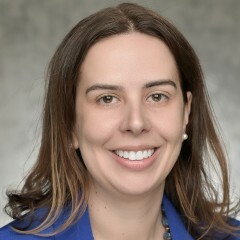 Marina Sofos manages the Building Technologies Office�s R&D portfolio in optimizing smart building operations through emerging sensor and control technologies at the U.S. Department of Energy. 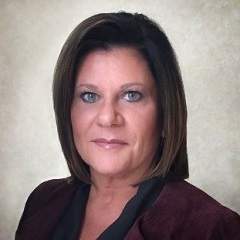 Her overall interest is in transforming the flexibility of the built environment to enable the modernization of the electric grid through advancements in control strategies. A quick Google Image search of �building energy dashboards� will produce hundreds of thousands of images showing graphs, controls and stats of energy in buildings. No one disputes how important energy efficiency is when it comes to a smart building strategy; however many challenges must be addressed. Navigating the hundreds of different solutions, integration into other BAS platforms, realizing the full potential of voluminous data sets, and creating protocols that produce measurable business results are just a few of the high priority conversations. Understanding these complexities and developing a comprehensive EIS strategy will be the focus of this session. 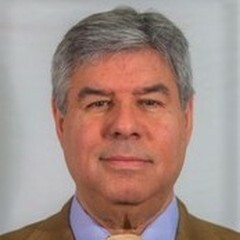 Leighton Wolffe is the co-founder of NorthBridge Energy Partners, an independent consulting organization with expertise and perspective on US energy markets and works with retail energy companies, institutional energy consumers, technologists and investors providing strategic business development, market research, and technology development services. 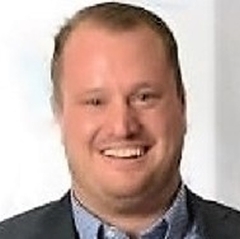 Previously, he was VP Strategy for Constellation NewEnergy where he formed the NewEnergy Alliance, an industry association that advanced awareness between building owners, energy management and equipment manufacturers and systems integrators with emerging US Demand Response programs. 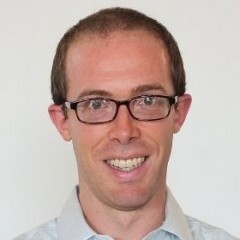 Brian Schwartz is responsible for Smart Building Infrastructure at over 50 centers portflio wide. 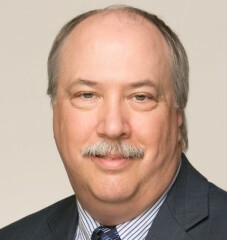 He oversees the installation and support for CCTVm Wi-Fim Energy Management, shopper counting, and DAS. Brian support digital marketing initiatives including digital signage and property websites. Renewable vs. fossil fuel, grid vs. local vs. hybrid generation, DC vs. AC, analog vs. digital, low-voltage and battery storage are just some of the topics and issues on the minds of those building and operating large real estate projects. Everyone seems to be in agreement that our grid and strategy for delivering electricity is outdated, inefficient, subject to vulnerabilities and in need of some attention. One of the more popular discussions is on the concept of next generation Microgrids. The idea of building a powerplant on-site that takes advantage of all the new concepts and technologies is taking hold. This insightful session will bring together those professionals on the forefront of the Microgrid conversation, presenting ideas, technologies and very innovative case studies. 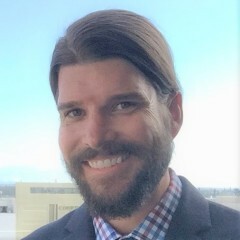 Peter Asmus is a principal research analyst contributing to Navigant Research�s Energy Technologies program, with a focus on emerging energy distribution networks models such as nanogrids, microgrids, and virtual power plants. His expertise also includes wind energy, marine hydrokinetic technologies and renewables generally. Asmus has over 28 years of experience in energy and environmental markets as an analyst, writer, book author and consultant. 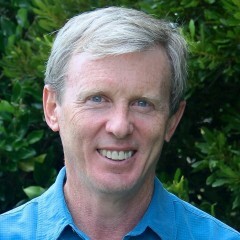 Will Agate founded NetZero Microgrid Solutions and currently serves as its President. Leading NetZero represents the culmination of his 25+ year career in energy management, economic and real estate development, and smart city sustainability and change management. Previously, Will led the effort turn the Philadelphia Navy Yard one of the most successful military base redevelopments in the country with more than 12,000 employees and 152 companies in over 7.5 million square feet of office, industrial, manufacturing and R&D space. Bryan Huber serves as the COO of CleanSpark a San Diego based technology company whose services enable large power users to meet their objectives for utility cost savings, greenhouse gas reductions, and energy security while also unlocking revenue potential that boosts Net Operating Income and Net Asset Value for property owners. Bryan�s background includes executive positions spanning feasibility, design, finance, implementation, and operational stages of complex power projects. 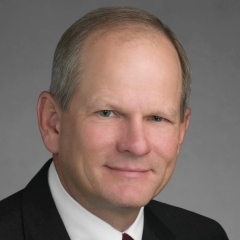 Steve Pullins is VP of Development for Dynamic Energy Networks (�DEN�) and has more than 40 years of utility industry experience in operations, maintenance, engineering, microgrids, and renewables project development. He has worked with more than 20 utilities in Smart Grid strategies, renewables strategies, power system optimization and microgrids. Historically, the goal of smart buildings was simply to improve energy efficiency and reduce operational costs. That foundation has grown in effort and depth, as we see projects now attempting to achieve Zero Net Energy. It is even the case that some projects strive to be net positive producers. While the majority of buildings are nowhere near capable of reaching these goals, this new breed of developments and retrofits is demonstrating the art of the possible. This session will bring together the designers, developers and operators of the world�s most advanced zero net buildings. Anyone looking to raise the bar in energy efficiency will not want to miss this session. New technologies tend to enter the market in similar ways. At first there are a few insiders whispering about it, and little by little, the whispers turn into larger conversations and ultimately a revolution. Even though in-building wireless conversations have been with us for years, this time feels different. 5G and CBRS have the potential to dramatically change an in-building wireless strategy. With topics such as WiFi, private LTE networks, and IoT connectivity on the horizon, building owners and operators will have to rethink their in-building wireless strategies. Even though these are still nascent technologies, now is the time to better understand and prepare for their impact. This introductory session will demystify and provide a good foundation for the 5G/CBRS journey. 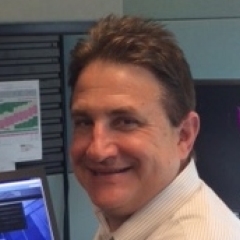 Nicholas Stello is the SVP of IT Infrastructure for New-York based Vornado Realty Trust. 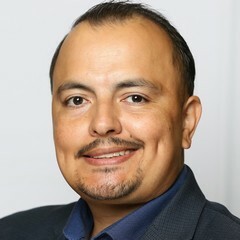 His responsibilities include leading the company's IT initiatives as they relate to in-building cellular, networking, cyber security and smart building connectivity. Vornado�s unique assets have enabled Stello to both differentiate and increase the value of its properties by structuring innovative agreements with national cellular carriers and other related technology providers. While many people are turning their attention to 5G and CBRS, the next-generation of mobile networks will remain in development phase for another few years. Building owners and operators still need to provide a wireless infrastructure for their buildings today. Whether it is providing WiFi, good cell coverage or smart device connectivity, wireless coverage for buildings remains a top priority. Many owners and operators, however, struggle with the costs of deploying wireless technologies. This informative session will provide an overview of the current in-building wireless landscape for those who are in the position of needing to make decisions today�not three years from now. In the early adopter phase of a specific technology life cycle, providers partner with clients who fit the right innovation profile. There are always some companies willing to take risks and invest time in the early stages in order to be one of the first to understand and implement new ideas. These early adopters tend to be in an advantageous position to get in on the ground floor of new business opportunities. This session will include those Real Estate companies who have been involved in early stage trials of CBRS and Private LTE Networks. They will discuss the technical challenges, timing for mainstream adoption as well as potential business opportunities. Those wanting to be at the forefront of the CBRS and Private LTE discussion will not want to miss this session. For the most part, the cost of installing an in-building wireless infrastructure for cell coverage and/or WiFi was usually absorbed by the owner. In a few cases, carriers paid for their installation in high profile projects. Since wireless infrastructure is usually considered a cost, it is hard to understand how it might generate income. With the new and upcoming platforms, speed and reliability will increase while costs are coming down. Location services in conjunction with advanced marketing solutions, private networks and the opportunity to provide broadband to tenants as a service are all ideas that have the potential to generate revenue. Some of the industry�s most forward thinking in-building wireless professionals will discuss and debate this new possibility. Marc Gittleman oversees third party services throughout Rising's three million plus SF commercial real estate portfolio, business development of integrated verticals and its energy, sustainability and technology initiatives. He has also participated as a GP investor in over $600M of transactions. Marc is also CEO & Co-Founder of 5x5 Telecom, a fiber optic ISP and smart-building platform located in Los Angeles. He is a noted expert in real estate innovation. As CIO at Meridian Capital, Sandy Jacolow oversees the firm�s nationwide innovation and technology initiatives that support the company�s brokerage, investment sales and retail leasing businesses and growth activities. Most people assume that the public safety radios used by firemen, police and medical personnel always work at all emergency sites. The reality is that these radios often do not work inside buildings due to the design and materials used in the structures. According to latest data from FCC, 70 percent of all 911 calls are made from cell phones. Given the importance of public safety along with the issue of reliable cellular and radio coverage, this issue is getting more attention. While there are options in the marketplace, complexity and cost are keeping adoption from mainstream scale. This session will explore the existing options as well as emerging technologies that are promising to improve this important issue. Limor is an international corporate attorney, market strategist, and entrepreneur. 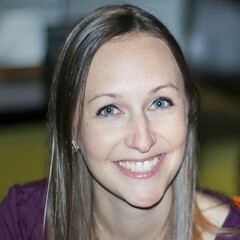 She leads TIA�s Smart Building Program, which is creating a marketplace for the ICT and real property ecosystems through the development of best practices, specifications and standards for the smart built environment. 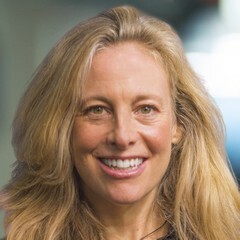 In addition to her work in the legal, theme park, video game and technology industries, Limor was former President, World Future Society DC Chapter; and is Chair Emeritus, IPv6 Forum Israel Chapter. Employee wellness has become a major topic for executives in companies large and small. From standing desks, better air quality, circadian lighting, exercise options, and healthy food programs, there�s been an increased focus on how wellness in the workplace translates to higher productivity and a healthier bottom line. While many of the discussion options contain no technology, there are places where innovation and automation come into play. Some of the topics include integrating wellness into an occupant experience application; providing digital exercise programs such as Peloton; developing rewards programs based on data from wearables such as Fitbit; and using sensor data to monitor air and water quality. This instructive session will provide a comprehensive view on where technology can touch and integrate with a wellness program. In the beginning there were KIOSKs and TVs, then came flat screens hanging on walls. We saw them everywhere, airports, lobbies, restaurants, malls and offices. They provided directions, directories, advertising and news. Over the last three years, a new technology has made its way forward�high-resolution LED panels that can be used to construct walls of any size. These stunning screens provide new immersive and reactive visual experiences beyond the traditional contents and are radically changing how we look at both the inside and outside of buildings. Many believe that this technology will someday be classified as a building material. For anyone trying to understand what a future digital building �looks� like, this is a must attend session. 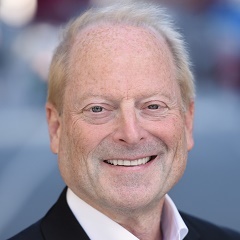 Howard Berger has over 30 years ofexperience in technology and commercial/investment real estate. 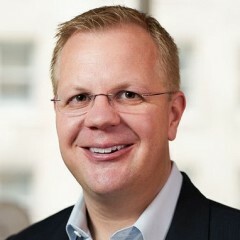 As Realcomm's Program Director, he manages its US and international conferences and CIO programs. 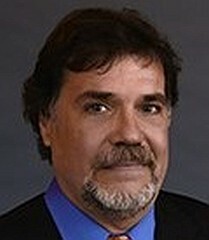 Previously, he was with The Jamesan Group, which specialized in strategic technology consulting for the commercial real estate industry and prior to that, he was with TRW Real Estate Information Systems where he developed real estate information systems for the mortgage, appraisal and title insurance industries. Ed Purver is Creative Director at Cocolab, a multidisciplinary studio that creates experiences designed to erase the line between the daily and the extraordinary. An award winning installation artist, and former creative lead at ESI Design and Obscura Digital, his work focuses on integrations of digital experience into the built environment with the purpose of building new relationships between places and the people who use them. It has long been the goal to better understand utility data for water, gas, electric and compressed air, whether from a bill or directly from data flowing from the meters. Understanding information at a high level of granularity requires capturing the data as close to the point of usage as possible. Adoption of IP connectivity options has gone a long way to advance the idea of �connected meters�. Although relatively simple in concept, the industry is still struggling to perfect smart, affordable, utility grade meters. This informative session will focus on an update of the latest and most advanced technology, a review of leading-edge case studies, and a lively discussion on the business merits of this technology. Gregg Fischer is the Director of Energy Systems under the Design + Construction Sustainability and Utilities division of Tishman Speyer. 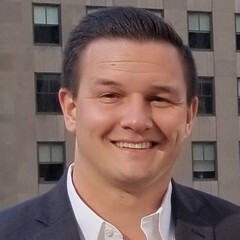 He manages both supply contracts and demand side energy usage for more than 55,000,000 square feet of class A commercial property including buildings like Rockefeller Center (New York), The Metlife Building (New York), The Chrysler Building (New York), The Chicago Mercantile Exchange, and The Franklin (Chicago). His central focus is to improve existing building operational ease, energy strategies, and technology systems to ensure the portfolio remains high performing and competitive in a difficult real estate environment. HVAC is one of the foundational systems in a building. Managing a comfortably conditioned environment in a facility is critical to the occupant�s experience and remains at the top of the priority list. These critical systems have evolved from standalone analog systems to an important part of the smart, connected building ecosystem. Access to critical data, command and control, integration with other systems, and cybersecurity all play into the capabilities of an IP-centric intelligent building ecosystem. HVAC manufacturers are seeing the benefits of a more networked approach to their equipment. This session will be led by the industries� most respected thought leaders who will provide insight into the most recent advancements in HVAC. 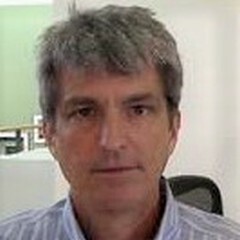 Ken Sinclair is the publisher / owner of AutomatedBuildings.com, an online magazine and web resource providing the news and connection to the rapidly evolving industry that automates and implement truly intelligent, integrated buildings. AutomatedBuildings.com has entered its 15th year as an online magazine and web resource. The thousands of industry articles that have been published, which originally seemed a little like future watch, have become the new reality shaping the industry. Lights were once very analog; you turned them on or off, and maybe they could dim. We then moved on to occupancy sensing which automatically turned off lights when no one was in the room. Over the past decade, the idea of networked lighting has been continuously evolving; it is now a central point of the smart building discussion. With voice-assisted activation, active shading, occupancy sensors, light harvesting, indoor air quality, CO2/O2 monitoring, noise detection, noise monitoring, network/cloud access and more, lighting has become one of the central components of a connected building. This session will offer the opportunity for attendees to learn about the most advanced lighting ideas from the industry�s most innovative thought leaders. Sensors are now finding their way into almost every sort of electrical-mechanical device found in a building�Samba, PIR (Passive Infrared Sensor), lighting, occupancy, motion-detection in cameras, the list goes on. We are also seeing a proliferation of sensors in equipment outside traditional building automation. Meters, weather stations, air quality, noise, parking occupancy, moisture, leakage, and bathroom supplies are just some of the newest entrants to the building sensor world. As these sensors get smaller, more powerful and less expensive, they bring a whole new set of operational opportunities. Along with the good comes a host of challenges, including integration, maintenance, and privacy. In this session, we will examine this important topic in the smart building conversation. One of the most talked about issues in the built environment today is the maximization of space utilization. With pressures mounting to achieve maximum financial performance, there are now numerous ways to determine how well you are utilizing office space. As many companies move to activity-based workspaces, some occupancy sensors are also being used for people finding. Beyond the office environment, occupancy data has become a powerful tool for retail lease negotiations and retail space configurations, as it provides valuable insights into shopper traffic. Access control systems, surveillance cameras, occupancy sensors in ceilings, lights or chairs as well as that powerful communications device we carry in our pockets called the mobile phone are just some of the technologies for occupancy sensing and people tracking available today. This enlightening session will focus on the associated technical, operational, financial and privacy issues. Whitney Ranasinghe is a Business Analyst in the Environmental & Property Solutions organization at ExxonMobil, responsible for delivering technology solutions to enable data-driven insights and improve resident experience across a global real estate portfolio. In today�s uncertain world, security inside a building, especially a high profile one, is of highest priority. Managing how huge numbers of employees, contractors, suppliers, visitors, maintenance personnel and other unique occupants access the building involves challenges to ensure safety from outside threats. There are a variety of technologies and processes to facilitate secure access including physical ID, RFID, hand-swipe, employer card-key, mobile phone, as well as facial and gait recognition. In addition to providing the primary purpose of secure access, there is also the need for tight, safe integrations into other building systems, including destination dispatch elevators and tenant systems. This session will include state-of-the-art conversations on the topic. A long-standing part of the building landscape (especially office buildings and malls) has been the security guard. Tasked with keen observance and keeping occupants safe, security guard duties will possibly be replaced�or at least augmented�by robots, drones, facial recognition, advanced audio and video technologies, gunshot recognition, particulate sensing (for bomb detection) and more. As part of a connected building strategy, it is important to develop a comprehensive physical security strategy that encompasses all of the various technologies and their capabilities. This valuable session will gather the most forward-thinking professionals on the topic of advanced physical security for the built environment. Artificial Intelligence and Machine Learning are finding their way into many different applications including video surveillance. When you combine AI with facial recognition, the potential increases substantially. In China, this type of advanced technology is being implemented at a national level and as a result it is being tried, tested and improved at an unprecedented pace. The use of advanced surveillance inside buildings to maintain a secure environment makes sense to many professionals. This session will examine the latest technology developments�including those coming out of China�and explore the use cases for AI and facial recognition inside and around buildings. It will include a spirited discussion on the potential threats to individual privacy. While the first mention of autonomous vehicles can be traced back to the 1950s, the modern conversation really began with Tesla�s release of the Roadster in 2008 and the ultimate introduction of driver assist and autonomous in 2014. Over the last five years, there have been prognostications of parking lot extinction and the demise of steering wheels. As it turns out, the world works at a different pace than technology and change usually takes longer than expected. Ingress/egress strategies for autonomous vehicles, parking structure configuration options and automated parking are some of the issues on the table. This session will provide a thoughtful conversation on the state of autonomous vehicles and the impacts on building design and smart building functions. First seen in Asia in the early 2000s, advanced parking systems have made their way to North America. On-site space occupancy notification, integration into citywide parking availability solutions, streamlined digital payment systems, license plate recognition, advanced surveillance, EV charging stations, and emergency notification systems are just a few of the technologies up for review. Making the entry, parking and exit from a parking structure easy, seamless and safe has always been the goal. With many technological advancements in the parking arena, new challenges must be addressed. The integration of parking systems with a broader smart building strategy as well as understanding the business costs and opportunities are some of the issues to be discussed. The seventh annual SMART BUILDINGS Best Practice Showcase returns to Realcomm | IBcon. For this super-session, we've assembled over 40 of the world�s most progressive and successful implementations of smart buildings, portfolios and campuses. These projects represent the next generation of open, interoperable, integrated and IP-centric buildings. In this showcase setting, attendees will have the opportunity to meet face-to-face with representatives for each project who will share their strategies and address topics such as energy conservation, operational efficiency, enhanced occupant experience, sustainability achievement and financial optimization.